Before our work, Horizen was known as ZenCash. Their old name did not communicate how this fast-growing blockchain technology project is much more than a cryptocurrency. They needed a new name and brand messaging reflecting their vision in developing a platform of applications that provide users with privacy and control of their digital footprint. The new name and messaging BrandTuitive developed better communicate the project’s forward-thinking vision as a platform offering many privacy-based services to people across the globe – services that will allow them to conduct their affairs without fear of being censored or oppressed. 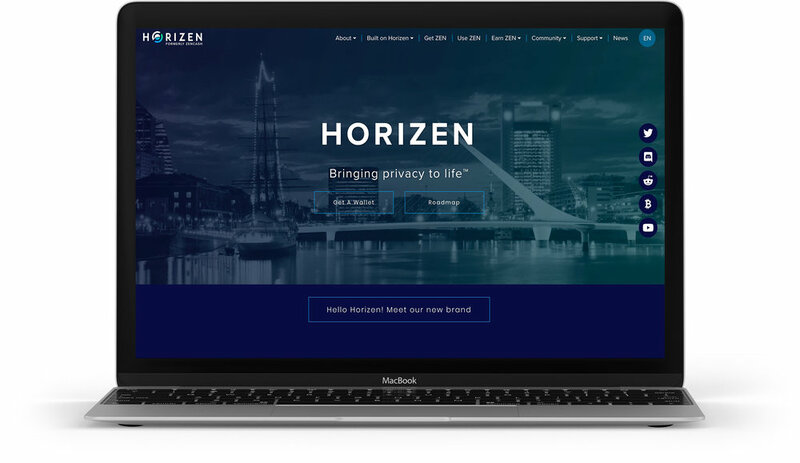 With the new tagline “Bringing privacy to life,” the new brand now communicates how Horizen delivers blockchain privacy in a unique way and reflects the truth of how their technology will work to offer many future products and services that will improve lives.